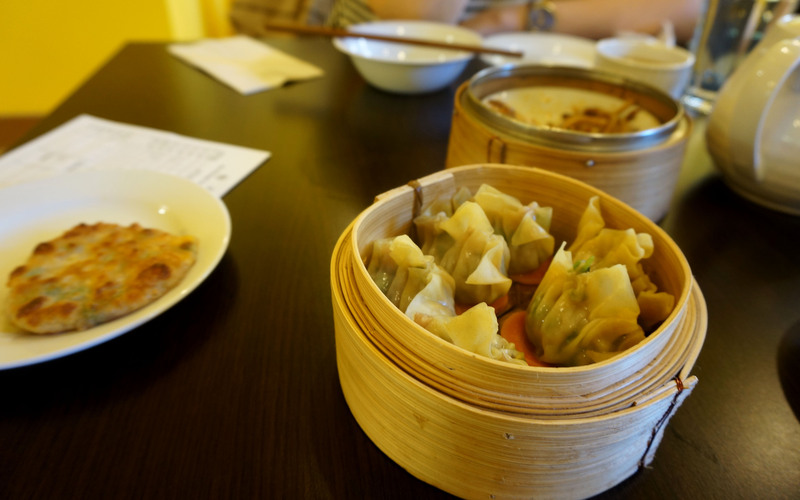 Who doesn’t love Dim Sum? 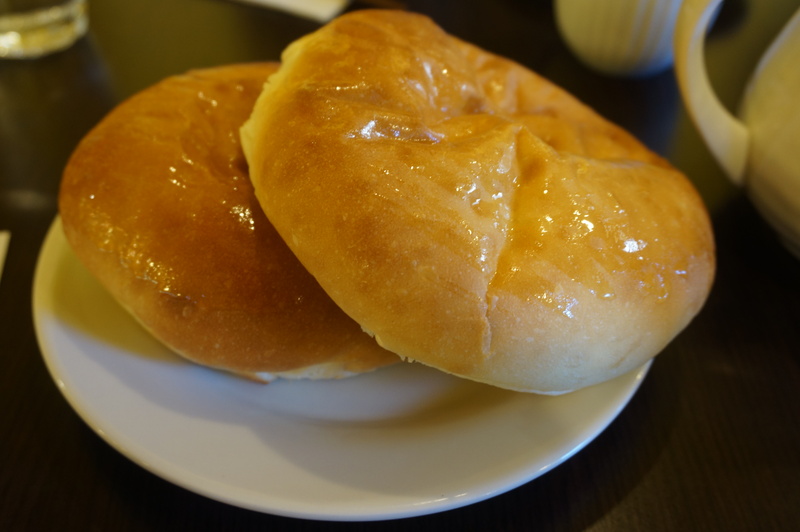 I could pretty much eat it everyday, and luckily Kee Heong Cantonese Bakery in downtown Halifax offers up delicious breads, pastries, and Dim Sum everyday of the week! My friend Erin and I stopped by a few weeks ago on a busy Friday lunch hour and though the restaurant’s seven tables were full, we only had to wait a few moments for a spot to open up. 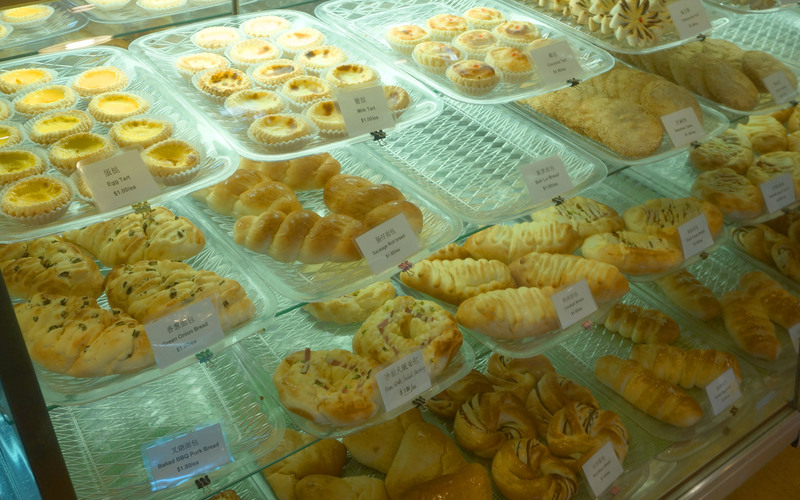 The decor is simple, the furniture functional, and the pastry case is full of mouth watering treats. 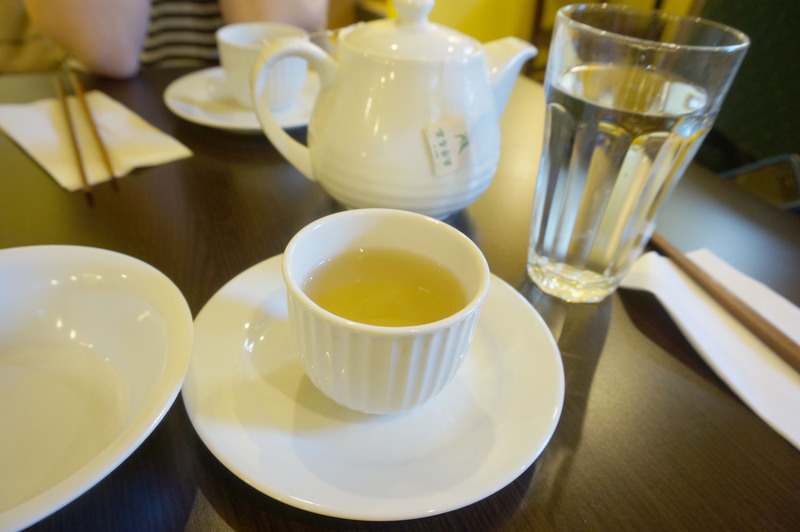 Once seated, our server appeared with a steaming pot of tea and we wrote down our list of dishes to share from the array of options available including steamed buns, dumplings, soups, even chicken feet! A few moments later, the server returned with a quizzical look on her face. She was very confused about my ordering number 16, the Szechuan Spicy Pork Tripe. Well let me tell you, number 16 was delicious. 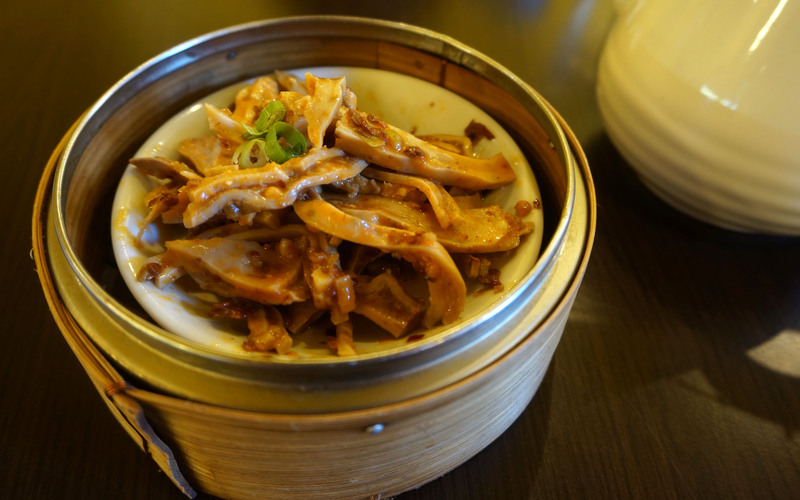 Slightly tender, the Szechuan Spicy Pork Tripe ($4.00) resembled the texture of calamari, but with a spicy peanut flavouring that Szechuan is known for. Even Erin seemed to like it, though continuously asked not to be reminded of what it actually was for the duration of the meal. The pork buns. Oh, the pork buns. The Baked BBQ Pork Bread ($1.80 a bun) in the ‘Bread’ section of the menu (not to be confused with the steamed buns), were warm and fluffy and stuffed with soft pork coddled in a tangy BBQ sauce. Perfection. 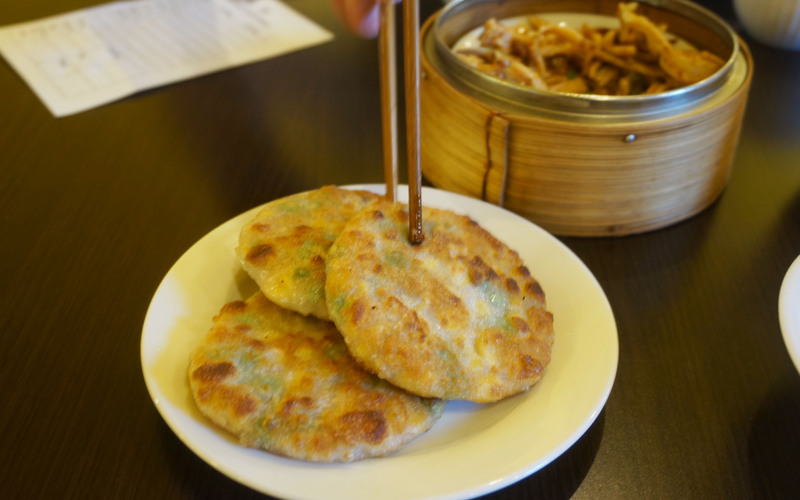 You can’t have Dim Sum without dumplings, and we opted for the Pork with Cilantro Steamed Dumplings (6 pieces, $3.50). The flavour of the cilantro was prominent, but in the most pleasant of ways; super fresh and light and complimenting the pork perfectly. 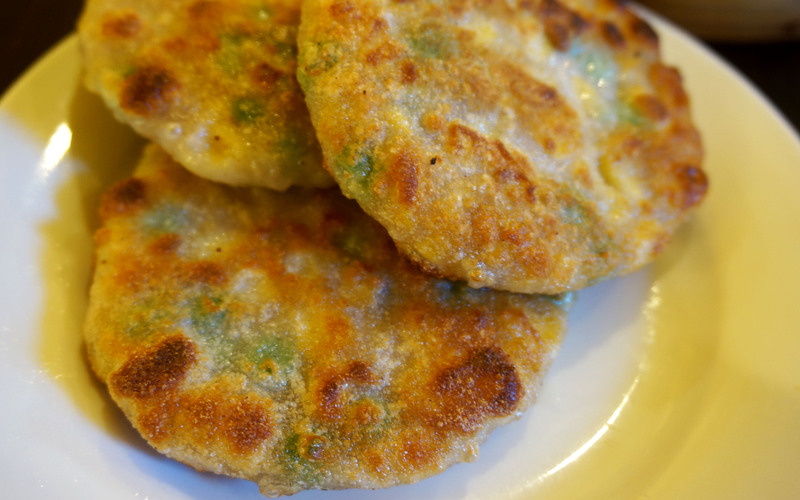 Surprisingly, one of my favourite parts of the meal was a non-meat item, the Pan Fried Crispy Corn Cakes (3 pieces, $3.50). Filled with fresh corn and sweet peas they were a delight. Light but filling and just the perfect mount of greasy, we gobbled them right up! 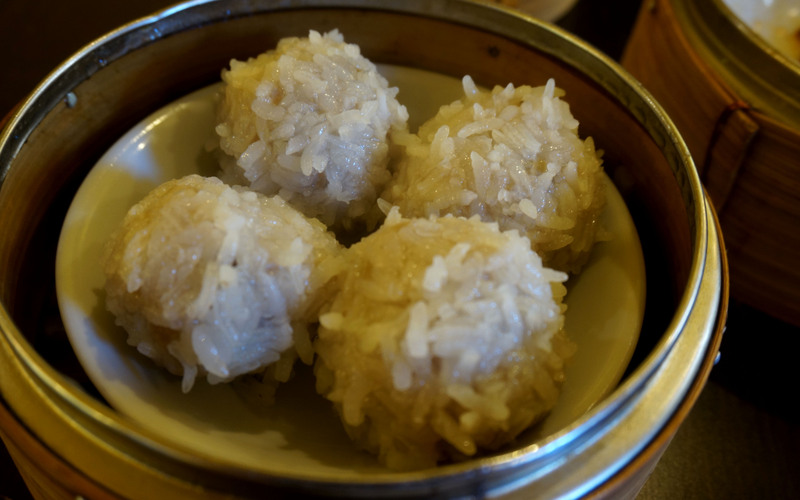 We also had the Duck Egg Inside Pork Balls (4 pieces, $3.50). They might read odd on the menu but they were very tasty. My only complaint about the entire meal was that the egg inside was very well cooked, making the balls a little dry. 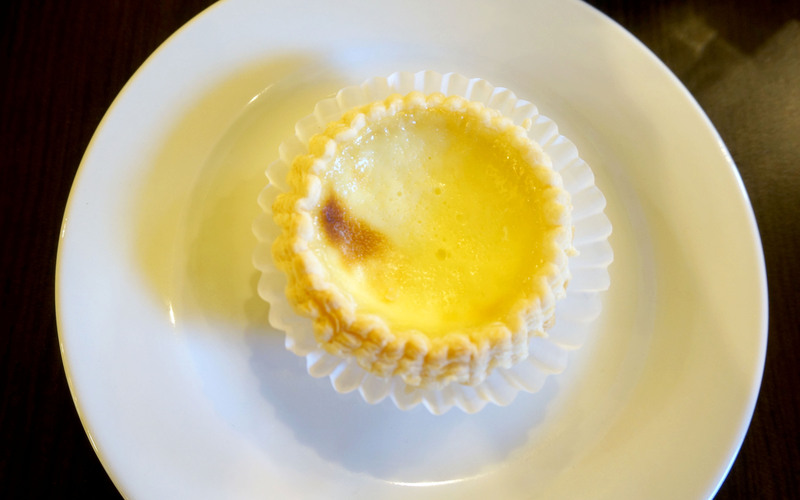 For dessert, I just had to try one of the cute little Milk Tarts ($1.00). The filling had a slightly odd texture, but the pastry was delicate and perfect. I have also tried the Coconut Tart ($1.00) at other visits, and swear by their moist filling; skip the Milk and go for Coconut. Though I am definitely not an expert on Cantonese baked goods, I can certainly say that the eats at Kee Heong are delicious. The pork buns are to die for, and seriously, you cannot beat the cost. The meal for the both of us, including tea and some pork buns to go came to $24.00! 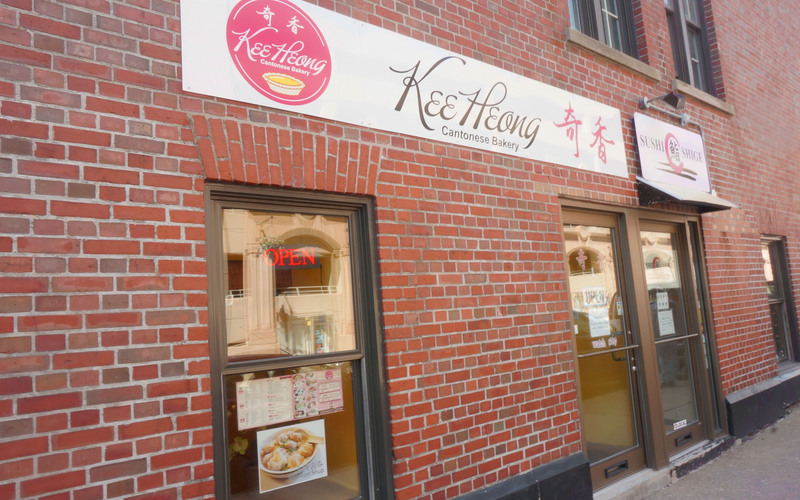 Whether you are feeling adventurous enough to try chicken feet and tripe, or craving a comforting bowl of Wonton soup, the next time you are downtown with your tummy grumbling, head to Kee Heong Cantonese Bakery for a Dim Sum feast or some pork buns to go! Why not go right now, you know you’re already drooling.